When people hear the word “branding,” they likely think of something simple such as the Nike Swoosh or the Macintosh Apple. They think of a logo, and not much more. But what many people fail to realize is that a brand is so much more than a logo. A brand is a message, a mission statement, a product, an emotion, and oftentimes, a lifetime memory that carries meaning. It is your favorite breakfast cereal as a kid, your first car when you turned 16 and the mascot of your favorite sports team, and everyone has that one brand they love. When trying to explain the deeper meaning of a brand, one of the best examples I can use is that of the Washington Redskins. Recently, this NFL team has faced some scrutiny in regards to their mascot. So much so that many people have urged them to change it. When this discussion became known to the Redskin’s organization and fans, there was instant backlash. The fans did not want to let go of their beloved mascot, and the Redskin’s organization did not want to let go of their successful brand. Some people agree with the idea of changing the mascot, and others do not. This discussion is not to take a stance on this controversial political issue. It is however, to try and understand why letting go of that mascot caused such an uproar in the Redskins organization and in the hearts of Washington football fans. To understand how much meaning a brand can carry is to understand how it can make or break your business. 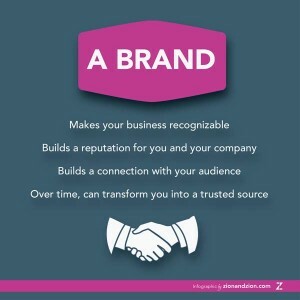 A brand is a business’s livelihood. No matter how close minded a business owner may be, it is undeniable that he or she needs to have a brand associated with their business or product. This concept is something that the majority owner of the Redskins, Dan Snyder, understands the importance of. When you threaten to take away a company’s brand, you erase the years of history associated with it. Regardless of whether or not getting rid of their mascot is right or wrong, tossing it out is essentially starting over from scratch. 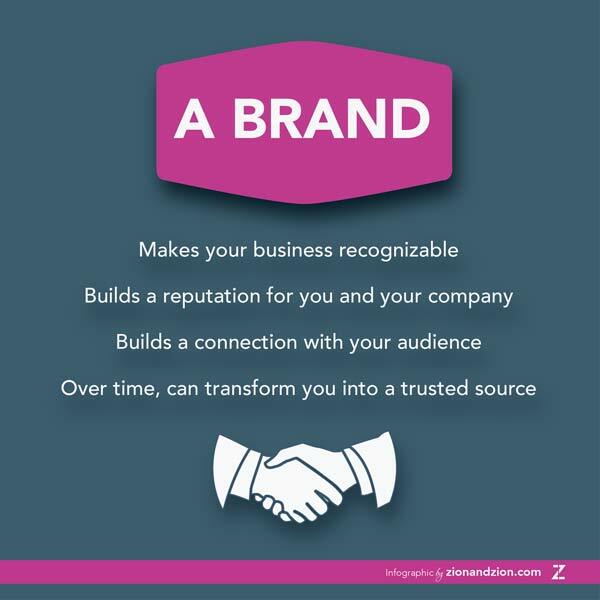 Aside from giving a company a logo or a slogan, a brand does four primary things for your business. Establishing those four items is no easy feat. It took the Redskins 82 years, and it takes many organizations 50+ years to establish the credibility Washington has. It is something that takes time and dedication, and even if you do manage to achieve those items, one misstep within the business can cause it to be gone in the blink of an eye. 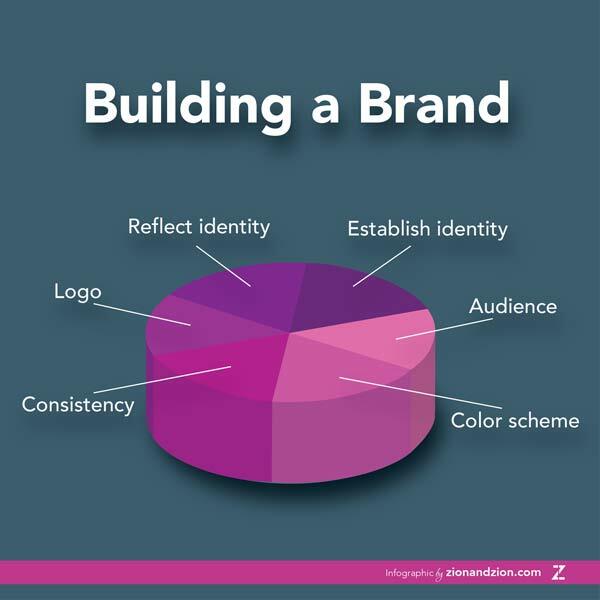 The process of actually building a brand can be as simple or as complex as you want it to be. Just because you’ve created one in a simplistic way doesn’t mean it won’t work, and just because you’ve invested thousands of dollars and years of hard work in it, doesn’t necessarily mean it will be successful. The Redskin’s probably didn’t spend a fortune creating their logo, and it probably didn’t take them longer than a year to develop. They knew who they wanted to be, who their audience was, and what design they wanted to go with. The rest is history. 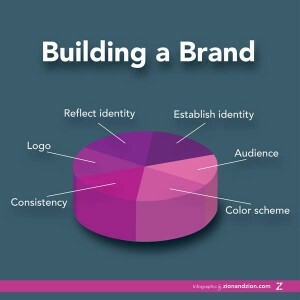 Identity is one of the single most important aspects of branding. When a company doesn’t know who they are or who they want to be, it is immediately apparent to their consumers. A company going through an identity crisis is not one that people want to associate with. Identifying your audience can be one of the most beneficial or costly aspects of this process. If you fail to properly identify your audience, even if the rest of your branding is genius, your business will most likely fail. You can’t target men when trying to sell feminine products, and you can’t target someone with no sports interest if you’re the Washington Redskins. Take the time to do the research and really consider who your audience is. Choosing colors may not seem like a crucial step of the process, but color schemes are what set many companies apart from competitors. If a fast food company chooses grey and white as their color scheme, they will most likely be lost in the sea of vibrant colors that many other fast food restaurants employ. Knowing how to choose a color scheme for your brand can take many years of design experience to perfect, which is why working with an expert in the field may be the right choice in this type of situation. For some businesses, their logo may be a simple typography treatment given to their name. For others, it may involve more consideration to incorporate the appropriate design elements to help reflect the business’s identity. Logos do not need to be an intricate design, they simply need to convey your message and your identity in the best way possible. Like so many other aspects of business, consistency is key. If you are changing your color scheme or logo every five years, you confuse your audience and will most likely end up confusing your employees as well. By remaining consistent, you are conveying that your identity and your product or service is remaining consistent. One thing to not confuse with consistency is resistance to change. Change can be good when it becomes necessary. Even companies who are recognized world-wide, such as Coke, have made subtle changes to their logo. Changes should not be made carelessly. When appropriate, change can further heighten a brand’s success. Taking into consideration all of the other aspects of the building process, one integral aspect is ensuring that your brand reflects your company’s image. The Redskin’s image is that of a fierce warrior who is ready for battle at any given moment. It conveys a sense of strength, leadership and ferocity. Even though their image is under scrutiny, this organization has mastered the art of reflecting their identity in their brand. Putting personal opinions aside, the Washington football team has successfully accomplished all of these aspects of building a brand. For decades, they have maintained their identity, kept their same color scheme, and made only minor adjustments to their logo, all while staying connected with their identity and their audience. Being attached emotionally to their brand is where the Washington Redskin’s example plays a pivotal role in portraying how vital branding can be for a business. An emotional attachment can define a moment by either building a connection with a consumer, or tearing that connection down. For example, if your dad took you to a Washington Redskin’s game on your 5th birthday, and you witnessed a game changing play, their brand is no longer just a symbol for an organization. Their brand symbolizes the beginning of your love for that football team. It may even symbolize your relationship with your dad, or one of your fondest memories with him. However, if you go to the game and are met with unfriendly staff, belligerent fans, and a bad game, your connection with the Redskin’s brand will most likely be forever broken. Anyone who has ever felt nostalgia towards a company or organization can surely understand the Redskin’s resistance to let go of their image. When the controversy surrounding the Redskin’s logo started, many people thought that the Washington fans were simply wanting to hang on to their logo to be reckless and defiant, but it was so much more than that. To the Redskin’s fans, their logo is the décor for their home, the graphic on their favorite shirt, the background of an autograph, and an image that evokes a lifetime of memories and emotions. That logo symbolizes every touchdown pass, every come-behind win, every Super Bowl title, every interception caught by Darrell Green and every rush Robert Griffin III has ran. This is exactly what a successful brand should do. It should build such a strong connection with its audience that when major changes are being threatened, the audience takes it personally. It’s important to note that the connections a brand builds with its audience also includes how it handles customer service issues, the messaging it puts, how people talk about it, the quality of its products and/or services, etc. Even though the Redskin’s provide a concrete and current example of all the different elements of branding coming to life, the topic of building and maintaining a brand does not stop there. Through the example of the Redskin’s, the subject of branding becomes personified. Hopefully by understanding what the Redskin’s image means to the Washington football fans, people can have a better understanding of not just their own business’s brand, but the importance behind branding as a whole. When it comes time for you to create an brand image for your company, hopefully the subject of the Redskin’s will come to mind and help to remind you that branding is more than words and shapes. Branding has a life of its own and can grow to unfathomable heights, if done right.